PERFECTOMUNDO TEQUILA is made at Fabrica de Tequilas Finos, one of the oldest distilleries in the town of Tequila. Embracing the best of craft, tradition and the dynamic secrets of a renowned tequilero family, PERFECTOMUNDO TEQUILA redefines the art of perfection for trendsetters, jetsetters and regular folks seeking a sip of the smooth. Its unsurpassed quality, flavor and pioneering recipes makes PERFECTOMUNDO a brand that exceeds the expectations of true Tequila aficionados. The Distillery is located in the City of Tequila, Jalisco, México, and at the foot of the Tequila Hill. 80-proof original Tequila is delicious when being sipped over ice or mixed in an array of cocktails, both classic and cutting-edge. It’s unique ultra-smooth taste and packaging will help attract a more ethnically diverse, cosmopolitan customer base than any other Tequila or spirit brand. Prefectomundo Tequila Blanco won top medals at the WSWA blind tasting compitition 2016, and were named one of the 12 most interesting products of WSWA 2016 by CHEERS Magazine. 100% de Agave Reposado has been aged for just less than a year in new white oak barrels. The oak barrels give Reposado a mellowed taste, pleasing bouquet, and its pale color. Reposado keeps the blue agave taste and is gentler to the palate. It has a distinct taste that acquires a sophisticated nuance without losing its great heritage. 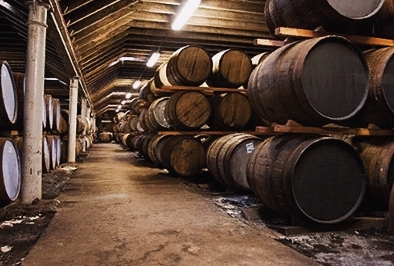 The Reposado barrels, called pipon, are usually made of white oak and accommodate Tequila batches of up to 10,000 liters. Perfectomundo Añejo is a one of a kind aged sipping Tequila, crafted from 100% pure, hand selected, estate grown Blue Agave. Once Perfectomundo Tequila has aged 3 years in charred French oak, charred American oak and aged oak Bourbon barrels, our master distiller blends them according to the proprietary recipe, thus creating one the most exquisite, unique and finest sipping Tequilas in the world. The result rivals master cognac and single malt blenders of France and Scotland.